Although it would be quite unfair to have a favourite client I think it is extremely acceptable to have a favourite pig. Let me introduce you to George. 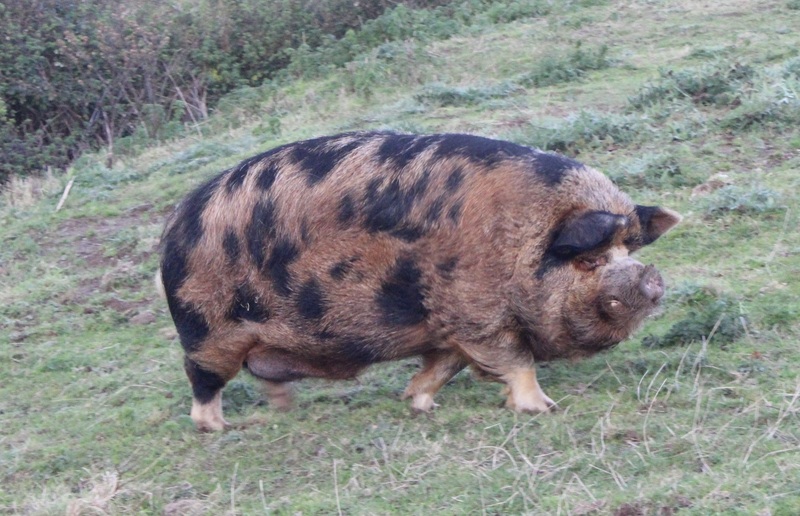 He is a kunekune which are native to New Zealand and means fat and round in Maori. His combination of rugged good looks and an endearing personality makes him irresistible. Add to that a slightly dangerous demeanour, a surprising turn of speed (well I was surprised when he turned and sprinted towards me shortly after this photo was taken) and a good line in grunt. The father of seven beautiful piglets with the almost as gorgeous Victoria. He is at present involved in a doomed love triangle with a young sow to be fattened and a slightly bolshie Shetland pony. I will be there to scratch his head and offer words of consolation when it all goes pear-shaped. And very handsome he is too, but then I do like pigs. I can never resist a pig. OMG! Have you ever seen anything so cute? Fat and round, ha ha. Well named.